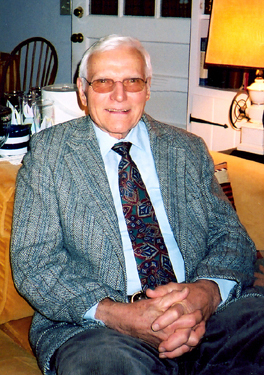 Former Ambassador William Stoltzfus Jr. Served Many Years in the Middle East. Syria, Lebanon, Libya, Egypt, Ethiopia, Saudi Arabia, Aden, Yemen, and Kuwait  these have all been home to William Stoltzfus, Jr. during his distinguished career in the U.S. foreign service. With his career culminating in ambassadorships to Kuwait, Bahrein, the United Arab Emirates, Qatar, and Oman, Mr. Stoltzfus spent 27 years in the foreign service, focusing on the Middle East. "I always wanted to be in the diplomatic service," he reports. "I never thought of doing anything else, and I always wanted to live abroad. I have always felt at home with the Arab people." Not surprising, since he spent his childhood  until the age of 15  in Syria and Lebanon. His parents, William and Ethel Stoltzfus were Presbyterian missionaries, and William Jr. was born in Beirut in 1924. "Beirut was part of Syria then," he recalls. "Lebanon did not become independent until 1945. It was in a beautiful setting on the Mediterranean with mountains behind. "My father was a Mennonite from Ohio, and my mother a Presbyterian from Minneapolis," he continues. "My family's mission was education and health. My father and mother always said they didn't believe in pulling people out of their culture or religious heritage. Instead, educate them and live your own life as a model. Teach by example." Mr. Stoltzfus Sr. was principal of a boy's school in Aleppo, Syria and later president of the Beirut College for Women, which went from a two-year to a four-year institution under his stewardship. Bill Jr. and his younger brother James were tutored in Aleppo before going to the American Community School in Beirut. Younger sister Lorna later followed in her brothers footsteps, also attending the American Community School. Bill spoke Arabic, French, and English at an early age. "Life in Lebanon and Syria in those days was so enjoyable. It was really an idyllic life," says Mr. Stoltzfus. "We felt completely at home and safe. There was no thought of danger  except from the occasional viper. I always thought I could go anywhere as a kid. In Lebanon, we took the tram to the movies, which were American, with French sub-titles. During the summer, I enjoyed going to a boy's camp, and also hiking and playing tennis. My real love is the mountains." As he points out, "Living in Syria and Lebanon in the 1920s and '30s, you were not exactly in the mainstream of American life. I had come back to Minneapolis in 1935-'36, when we were on furlough, and I didn't know beans about American society. I attended a grade school, and then I joined the young people's group at church, and everyone was very friendly and helpful. Later, I also worked in the summer for my uncle in Utah and Colorado." In 1939, at 15, Bill left Lebanon for Deerfield Academy in Massachusetts, where he very much admired the headmaster, Frank Boyden. "He was a real New Englander, and a famous headmaster, really THE headmaster," recalls Mr. Stoltzfus. "And he was a fabulous person." Also at Deerfield, Bill was involved in sports, playing tennis and varsity football, as well as enjoying hiking and camping. After graduating in 1942, he entered the freshman class at Princeton, which then had a strong Middle East connection, he explains. "It was very much a Middle East-connected place. Bayard Dodge, President of American University of Beirut, had a strong Princeton connection." It was early in World War II, however, and Mr. Stoltzfus left during his freshman year to join the Navy. "I took two years of training in Florida and became a pilot in the Naval Air Corps," he recalls. "I loved it. I loved to fly." After the war, Lt. jg Stoltzfus returned to Princeton and attended the Woodrow Wilson School of Public Affairs, focusing on politics, economics, and history. "I always liked history, languages, and philosophy," he reports, "and at Princeton, I took all of these." All excellent preparation for a future foreign service officer, as he was soon to find out. Graduating in 1949, Mr. Stoltzfus, who had especially admired George Wadsworth, Ambassador to Turkey and Saudi Arabia, and who was well-known in the Middle East, took the rigorous three-day foreign service examination in Cairo, followed by two hours of oral testing. He was successful in all but one important area, he recalls. "I was turned down because they felt I didn't know enough about the U.S.! I had fallen really short when asked to name 11 ports on the Mississippi River and other mysterious questions to someone who grew up in the Middle East. "So I studied some American history, and the second time around, I was accepted." His first job was an internship program at the State Department, followed by assignments in Alexandria, Egypt and Benghazi, Libya. He then attended the Arabic Language School in Washington and Beirut, which concentrated on the written language. Mr. Stoltzfus found that life as a young foreign service officer was not all glamor and intrigue. "In Alexandria, I wrote reports on the flax production and economic resources," he points out. "In Libya, there were only two of us, and I did whatever the boss didn't want to do." Then circumstances changed again when romance entered his life. He met his wife Janet in Beirut in 1953. "She had been picked by my father to teach in his college, the Beirut College for Women," explains Mr. Stoltzfus, who shares a curious piece of family history. "Interestingly, my father met my mother in Lebanon, then I met my wife in Lebanon, and my second son, Philip met his wife Terrie in Lebanon." Married in 1954 in the Princeton University Chapel, Mr. Stoltzfus and his bride headed back to the Middle East, where he was vice consul in Kuwait. "Kuwait was a very picturesque place then, and the oil was just beginning to flow," he reports. The first of the Stoltzfus' five children, William III was born in Kuwait, followed by Philip in Saudi Arabia, daughters Winifred and Susan in Washington, and Rebecca in Ethiopia. As time went on and he was attached to various embassies, Mr. Stoltzfus found his work more and more fascinating. "The bigger the embassy, the more specified the responsibilities," he explains. "In smaller embassies, you got to do many things. I was involved in political, financial and economic reporting, and our job was to represent Washington's views to the local officials and people. "I loved the work," he continues, "and later, as ambassador, I'd go to various rulers and ministers and report on the visit to that country, noting any potential problems, and making predictions." Mr. Stoltzfus served as economic assistant in Benghazi, political officer in Damascus, charge d'affaires in Yemen, chief of the political section in Addas Abbaba, and deputy chief of mission in Jidda, Saudi Arabia. "My favorite was Yemen," he says enthusiastically. "It was 1959 through 1961, and it was a challenge every day. It was like the 13th Century  no telephone, no TV, and electricity only four hours a day. When we had a dinner party, I'd go out before and shoot a guinea fowl. We were there two years, and I loved it. The people were wonderful, and it's a very beautiful country with mountains. "My wife Janet started a school there, the first non-religious school the country ever had," he continues. "It was established for non-Yemenis, for other diplomats' kids. But then the Yemeni police chief and the foreign minister said they wanted their kids to go there. So, I went to see the Imam. I found him sitting on a rug with his advisors. I sat down too and joined them. Finally, after some questioning, he said the school was OK, as long as only my wife was the teacher." In the book, The Arabists by Robert Kaplan, Mrs. Stoltzfus recalls another incident in Yemen, requiring ingenuity and improvisation  always good skills in the foreign service. It was 1960, the height of the Cold War, and as Mrs. Stoltzfus recounts, "The Russians and Chinese were showing double features on consecutive nights at their embassies. So Bill crossed the Red Sea to Ethiopia  where the U.S. had an air base  and came back with the reel of Seven Brides for Seven Brothers. Bill set up a 16 mm projector on the roof of a crumbling fort and organized separate seating for men and women, out of deference to Moslem tradition. The movie played every night for a week. The Imam of Yemen saw it twice. Victory was ours!" Mr. Stoltzfus also enjoyed his work in Saudi Arabia, and remembers a variety of challenging and rewarding moments. "I was just an economic assistant, the ambassador's right hand man, but I was free in a way no one else was," he explains. "I'd take off from Jidda and go to Riyad to see the foreign minister and others and say this is what I want to know. I had the freedom to go and see anyone I wanted from the king on down and report back to the ambassador. "There were some difficulties then in the Saudi family. I knew all the Saudis, and I was in on all the meetings with the king, crown prince, foreign ministers, etc." Mr. Stoltzfus later received a State Department award for his work in Saudi Arabia. His own childhood and his years in the foreign service were notable for warm relations with the people of various Arab countries, he points out. U.S.-Arab relations began to change, however, after World War II. "Major changes in the attitude of the Arab people toward the U.S. are due to (1) the creation of Israel; (2) a feeling on the part of the Arab people that something has been imposed on them and America's responsibility in that; and (3) oil. Actually, before oil, there was not much U.S. interest in the area. Now, the Arabs think we just want the oil. "Nothing can excuse extremists when they kill innocent people," continues Mr. Stoltzfus. "There is a lunatic fringe, but certainly, not all Arabs are that way. The fanatical and fringe groups are susceptible and easily brain-washed. Extremists on both sides cause the trouble. The Israeli settlers on the West Bank are also unrealistic." He notes that he was in Syria and Egypt shortly after September 11, 2001, and found the people friendly and sympathetic, but also making known their views on the American appetite for Middle East oil and what they perceive as partiality to Israel. In 1976, Mr. Stoltzfus retired from the foreign service and returned to the town of his alma mater. For the first time in his professional career, he worked in the private sector. "I joined William Sword Investment in Princeton  Bill Sword was a University classmate  and I was there eight years," he recalls. "Then I went to Chemical Bank of New York, which later became Manufacturers Hanover Trust. "I wanted to make some money!" he says, smiling. "I also liked the idea of sectioning my life  education, military, foreign service, then banking." Much to his delight, he traveled frequently to the Middle East on bank business, and then in 1986, he was transferred to London for four years. "I loved every day there," he states, with the unmistakable pleasure of a born traveler. Retiring in 1993, he has enjoyed life in Princeton, while noting distinct changes from his undergraduate days. "There sure is more traffic! It was a sleepy little town when I was an undergraduate. Now, there is an international flavor to the town. You'll hear a lot of different languages  from French to Russian. "I like going to the gas station at the shopping center," he adds. "They are all from Mexico, and they're so like Arabs. They like to teach you their language. Now, when I go in, they say 'Amigo!' This is a very, very interesting community, with so many interesting people." He finds that a number of former University students have chosen to live here, noting, "All of us who've gone to Princeton  we're just tigers who never grew up!" Mr. Stoltzfus was also happy to resume a friendship from his foreign service days with L. Carl Brown, Professor Emeritus of Princeton's Near Eastern Studies Department. "Bill and I first met in Beirut in 1954 when both of us were Arabic language officers there," recalls Professor Brown. "I remember what a lively and sanguine person he was. And then we caught up again years later, when he came to Princeton in 1976. I feel I have known him and the family for a long time. "I have very much admired their career. I say 'their' career because Janet was very much a part of the team. It has been a great pleasure for me to have them back here in Princeton, and I am very gratified by his continued interest and support of our Near Eastern Studies Department at the University." Continuing his lifelong love of the outdoors, Mr. Stoltzfus has become a dedicated member of the New York-New Jersey Trail Conference, an organization which maintains hiking trails in the mountains of New York and New Jersey. "My main interest right now is trail maintenance," he explains. "I personally maintain two trails near Milford, N.J., and I normally go up there once a month. Also, every month, a team of workers from the Conference gets together to restore trails where erosion or damage has taken place. "I enjoy hiking, and I have hiked more than 1,000 miles in Virginia, Connecticut, New Jersey, and Vermont along the Appalachian Trail. My son Philip has a farm in Vermont, and I like to go up there and work. My consuming interest is the environment and being outside. Development is the biggest change in Princeton, and I hope the Princeton Open Space group will prevail." A grandfather of six, Mr. Stoltzfus is active in his community, and is also a member of Nassau Presbyterian Church, and chairman of the Princeton Cemetery Committee. The cemetery is owned by the church. Attending lectures at the University is another source of pleasure, and he is an admirer of Princeton's Department of Near Eastern Studies. In addition, he belongs to the Princeton Middle East Society, a group which meets in the community. Traveling remains a major interest, and he is looking forward to an upcoming trip to Lebanon, which will have special meaning. "The ground floor of the new building at the Lebanese American University is to be named the Stoltzfus Library in honor of my father," he notes. He adds that he is frequently in touch with former colleagues in the foreign service and also at the Middle East Institute in Washington. "This is a very important organization. Its purpose is to teach Americans about the Middle East, and some very high-powered people are there, " he explains. Proud of his work in the foreign service, Mr. Stoltzfus points to his association with the Arab world as especially satisfying. "I felt my work was furthering good communication. Because of my background, I'm very much at home with Arabs and the Arab world. My main achievement, while making sure that I didn't diverge from official American policy, was that I was able to establish excellent rapport with the Arab people. "The most satisfying thing is that I felt I contributed to understanding between the U.S. and the Arab world; keeping the lines open, and interpreting Arab views to the U.S."
These views are echoed by those who worked with him, and who also point out his unpretentious manner and ease dealing with people. Richard Bogosian, former Ambassador to Niger, Chad, and Somalia, has known Mr. Stoltzfus since 1972. "When I was about to go to Kuwait, I asked about him, and was told 'he just might be the nicest guy in the foreign service.' The thing about Bill Stoltzfus is that he has really had a remarkable career  a pilot during World War II, a very successful foreign service career, and then a successful career in business. He is quite a remarkable person. "But with all that, he is very down-to-earth, very unassuming. There is no hubris around him. The Kuwaitis, who didn't take to foreigners, really liked him. It was his unassuming style combined with his familiarity with Arabic and a deep understanding of the Arab world. There are probably very few people who understood the Middle East in the way he did." Adds colleague William Brewer, former Ambassador to Mauritius and the Sudan: "I think Bill was a very distinguished field officer, and he was very helpful to me in Kuwait. He knew how to get information from Arabs. He knew their language and customs. He was an excellent example of America to foreigners, which is so important. In every way, he was a good representative of the U.S.
"We have stayed in touch over the years, and he is a good friend as well as a colleague." Communicating the need for diplomacy in today's risky world is especially important to Mr. Stoltzfus, and he makes a point to speak to young people. "I do some speaking at schools," he says. "I enjoy talking about the Middle East, and I like to talk to kids. He hopes some of them will be drawn to a career in the foreign service, with its unique challenges and rewards. "You need a consuming interest in politics and international affairs," he explains. "And of course, one of the requirements is learning a foreign language. Also, you need a real enjoyment of being with 'strange' people in 'strange' places  who don't continue to be "strange' very long. "Being patient and getting along with people is important. Being principled, but having a willingness to look at other people's point of view and recognizing that others are entitled to have other points of view  these are important qualities for a foreign service officer. "You know," he adds, "I find that talking with people here, people in Vermont, and the different groups on the trails in the mountains  they're all different, with their different points of view. It's all about interacting with people, which is what I've always done."